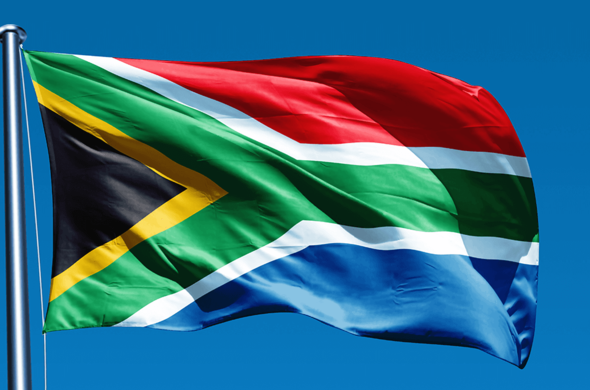 IMPORTANT INFORMATION FOR TRAVELLERS TO SOUTH AFRICA. Travellers to South Africa need to have a passport that is valid for at least 30 days longer than the length of their intended stay. There should be no less than two blank pages in your passport. Passengers travelling to South Africa with passports which do not comply with these requirements, will either be stopped from boarding the aircraft or risk deportation upon arrival in South Africa. Visitors who stay in the country after the expiry of their permit will be declared "undesirable" for between one and five years; essentially barring them access to South Africa for as many years. The new regulations require visa and permit applicants to present their application in person. Agents may still accompany you through the submission process but cannot undertake the submission on your behalf any longer. It is mandatory for visa and permit applicants to have biometric information collected either upon admission to South Africa or upon application for a visa or permit while resident in South Africa. Visitors to South Africa as well as South African citizens travelling with children under the age of 18 will to produce an unabridged birth certificate and written permission from the other parent when travelling with one parent only. A court order granting a parent special right and responsibilities should also be provided. If a child is travelling with a widow or widower parent, a death certificate of the other parent is required. A valid visa and passport may also be presented. Yellow Fever certificates are required on entry to South Africa if you have previously visited a Yellow Fever risk country. The requirements for access to South Africa differ from country to country. Ideally, one should check with the South African embassy in your country of origin. You may also consult this list of Countries exempt from South African Visas but it is better to double check with your local authority in the wake of recent changes.Visas are the responsibility of the traveller. It is best to consult with the high commission of the country being travelled to in the country being travelled from as requirements vary and change constantly. Siyabona Africa will not be held responsible for any incomplete or incorrect information regarding the visa process gathered by the traveller.